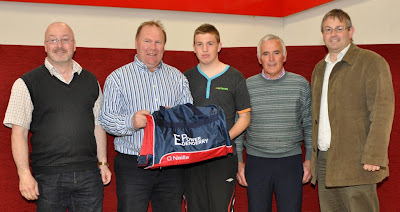 Edenderry GAA was a hive of activity all weekend as the club played host to teams competing in the annual All Ireland Feile Peil na nÓg which was held in Laois & Offaly for the first time. 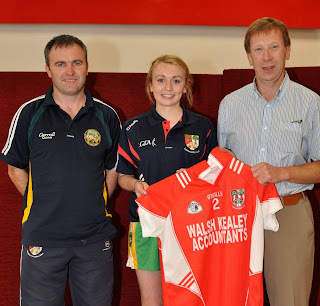 Edenderry GAA were delighted to host Naomh Conaill of Donegal in the Ladies Football competition and Moortown St Malachy's of Tyrone in the Boy's Football competition. Our players, coaches and supporters played an excellent part in the weekend and our Ladies team won two of their games against Naomh Conaill of Donegal and Westmeath side Coralstown/Kinnegad before losing out to a strong Moyle Rovers, Tipperary side who went on to play in the semi finals of the Division 2 competition. Our Boy's team were in a very strong group however they acquitted themselves very well against Tyrone champions Moortown St Malachys in Edenderry losing by eight points however heavy defeats followed on Saturday at the hands of Ballincollig of Cork and fellow Offaly side St Broughans. Entertainment was also laid on for the weekend with a night of music in Larkins on Friday night with Mag Furey and Elvis following the parade in Portlaoise and a disco for the players on Saturday evening followed by live music by Mag Furey in Edenderry GAA Clubhouse which continued until the small hours! Edenderry GAA wish to thank all our parents and supporters who helped with our catering for the weekend by supplying trays of food and helping to serve the tea/coffee to our guests. We would also like to thank Larkins Bar, Edenderry Power, Eden Claims and Walsh Kealey for their sponsorship towards the weekend.